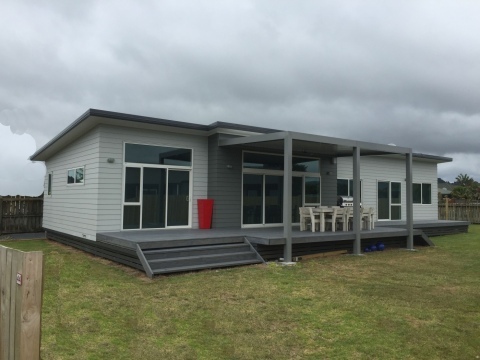 This 4 bedroom home in Whitianga has been based on our Kiwi 3 bedroom plan modified to accommodate another bedroom - total of 4. The extended deck is perfect for added space, bbq's, entertaining and relaxing in the Coromandel sun. To find out how we can build to suit your needs, please do not hesitate to contact our friendly Kiwi team - 07 847 3440.